A disappointing snowfall. Threatening but just a flindrikin. 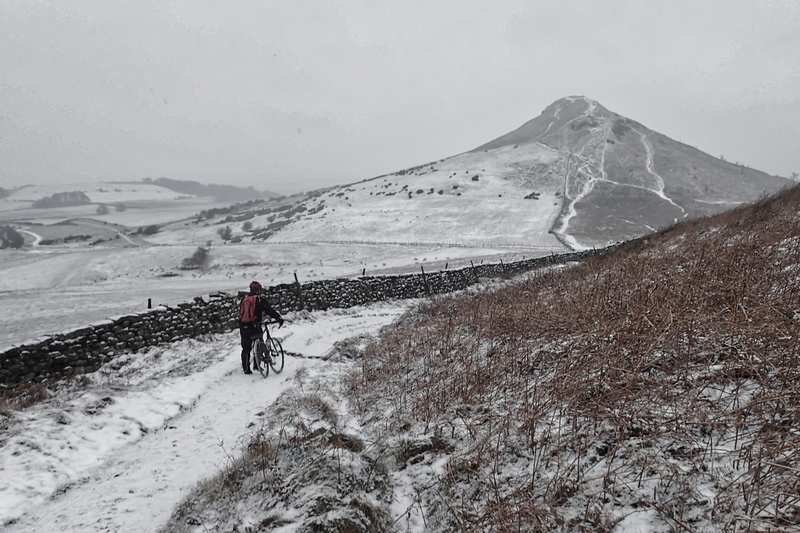 Roseberry Topping wasn’t so much wearing a cap but a grey veil. Didn’t see a soul except for this lone cyclist pushing his bike down the hill. Why? And a gravel bike at that. Roseberry, recently placed 23rd in a ITV list of Britain’s favourite walks. Part of me is disappointed in that it even made the shortlist, it’ll mean more visitors on sunny days. But I’m being selfish.